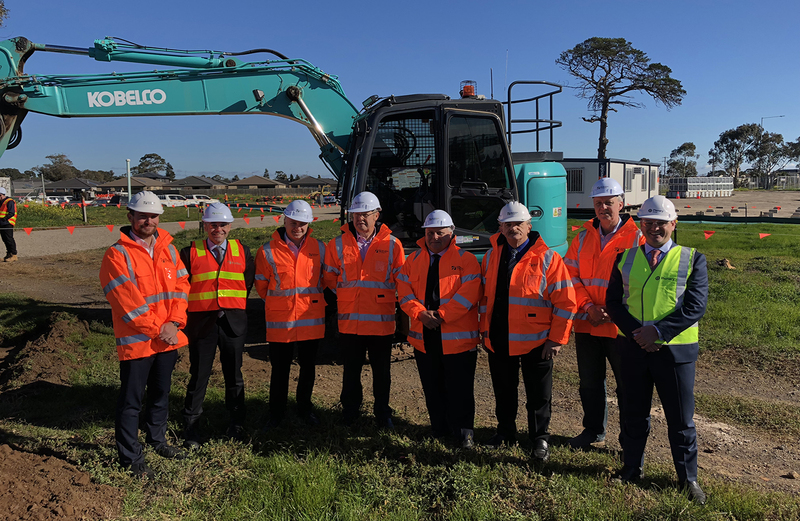 MELBOURNE, AUSTRALIA – The $1.8 billion Western Roads Upgrade has reached another milestone, with major work now underway on the Duncans Road interchange in Werribee. Victorian Treasurer and Member for Werribee Tim Pallas joined Netflow Western Roads Upgrade board member Damien Augustinus, Netflow Western Roads Upgrade CEO Jose Espinosa, Major Road Projects Authority CEO Allen Garner and WBHO Infrastructure Managing Director Peter Ryan on site for an event today marking the start of major construction. The Netflow JV consortium – comprising Cintra and Plenary as joint project sponsors and joint SPV managers; Plenary as financial arranger; WBHO Infrastructure as design and construction lead; local contractors Ace Contractors, Civilex, Fortunato Group, Negri Contractors and Winslow Construction; and the Amey Broadspectrum joint venture as services contractor – is contracted by the Victorian Government to design, build, finance, and maintain the project for 20 years following the completion of the capital works.